How do the NFL's 32 starting QBs stack up with each other? A lot could — and probably will — change in the NFL between now and the second week of September, when the 2017 regular season kicks off. Teams have OTA offseason workouts and minicamps. Rosters can still change with free agent signings and rookie development. But right now, there are some large and small favorites to win starting quarterback jobs on all 32 NFL rosters. Here’s how we rank those QBs. 1. 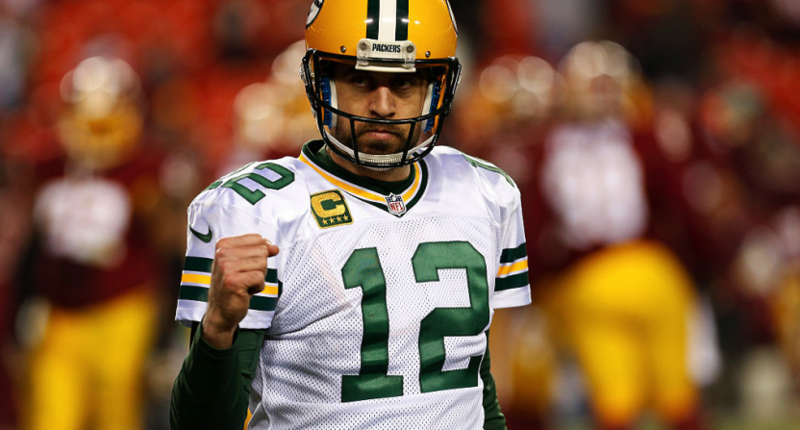 Aaron Rodgers, Green Bay Packers: The highest-rated passer in NFL history still has a gear that nobody else in the league can reach. During the last seven games of the 2016 regular season, the 33-year-old had 18 touchdowns, zero interceptions and a 120.0 passer rating. 2. Tom Brady, New England Patriots: He’ll be 40 before he plays another game, but the league’s most consistently dominant and decorated quarterback has thrown just nine interceptions in his last 29 regular-season starts. He has 64 touchdown passes during the stretch. 3. Matt Ryan, Atlanta Falcons: The reigning MVP is coming off one of the best seasons in league history. His regular-season yards-per-attempt average of 9.3 was the highest qualified mark in the NFL this century, his 117.1 passer rating was the fifth-highest qualified mark in league history and he was the only quarterback in the NFL not to throw an interception under pressure or on a deep pass. Smack dab in the middle of his prime, the 32-year-old is right there with Rodgers and Brady. 4. Derek Carr, Oakland Raiders: The 26-year-old had a 26-to-8 touchdown-to-interception ratio while leading the Raiders to wins in 12 of his 15 starts in a breakout third season. Seven of those wins required fourth-quarter comebacks, and his impact was massive beyond the numbers. 5. Drew Brees, New Orleans Saints: He hasn’t received much support in recent seasons, but the 38-year-old has still got it. He’s completed at least 68 percent of his passes in four consecutive years and he led the league with 5,208 passing yards while posting a triple-digit rating in 2016. 6. Russell Wilson, Seattle Seahawks: Not going to dock him too much for the worst statistical season of his career, because he was playing hurt while running for his life behind the worst offensive line in football. We’re still talking about the second-highest-rated passer in NFL history, and that doesn’t even take into account what he does with his legs. 7. Ben Roethlisberger, Pittsburgh Steelers: Injuries to Roethlisberger and his teammates have taken their toll in recent years, but Big Ben is still probably the best deep ball thrower in the NFL. According to Pro Football Focus, the 35-year-old had a league-high 13 touchdowns on passes that traveled 20-plus yards in 2016. 8. Cam Newton, Carolina Panthers: The 2015 MVP had an abysmal season as a passer. A lack of support was a factor and it was probably an anomaly, but it marked the third straight year Newton posted a sub-60 completion percentage. In this case, his 52.9 mark ranked dead last among qualified quarterbacks. 9. Andrew Luck, Indianapolis Colts: The three-time Pro Bowler was solid in 2016 despite nagging injuries and terrible pass protection. He had more deep completions than any other AFC quarterback, and by quite a wide margin. The future remains bright, especially if he can have better, um, luck. 10. Kirk Cousins, Washington Redskins: The 28-year-old doesn’t get enough credit. During his first two full seasons as a starter, he posted sixth-highest passer rating in the NFL. In that span, only three quarterbacks passed for more yards than Cousins’ 9,083, yet 12 threw more interceptions. And his 7.91 yards-per-attempt average ranked fifth. Plus, he’s led the Redskins to back-to-back winning seasons, and nobody completed as many deep passes as Cousins did in 2016. The guy is a top-10 quarterback, period. 11. Marcus Mariota, Tennessee Titans: The 2015 No. 2 overall pick took a large step forward in his second season, becoming a top-10 passer in terms of yards per attempt and passer rating. In October and November, he posted a 21-to-4 touchdown-to-interception ratio and a 110.9 rating in nine games. 12. Dak Prescott, Dallas Cowboys: That was, on paper, the best rookie season a quarterback has ever put together. But we’ll need to see him do that again without the ability to take the league by surprise in 2017. 13. Ryan Tannehill, Miami Dolphins: The 28-year-old completed 67.1 percent of his passes in a breakout 2016 season, and he was gaining steam on a hot streak before a December knee injury ended his campaign early. 14. Matthew Stafford, Detroit Lions: Stafford gets credit for orchestrating an NFL-record eight fourth-quarter comebacks last season. But his numbers (7.7 yards-per-attempt average, 93.3 rating) were rather pedestrian. The 29-year-old has made just one Pro Bowl in eight years. 15. Andy Dalton, Cincinnati Bengals: The 29-year-old has thrown just 15 interceptions the last two years combined, but he threw just 18 touchdown passes and saw his passer rating and yards-per-attempt average plummet in 2016. He’s still on the verge of being a top-10 quarterback, and this season could make or break him. 16. 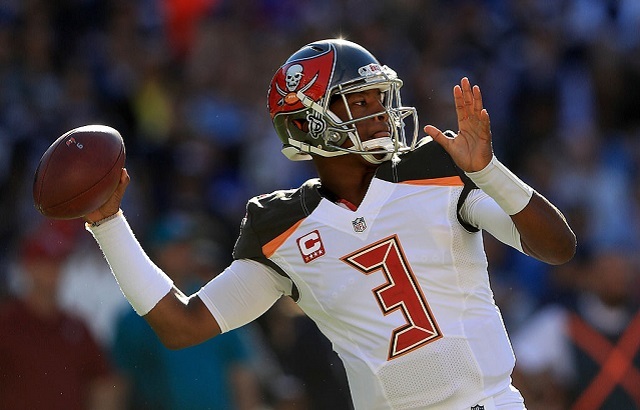 Jameis Winston, Tampa Bay Buccaneers: He improved slightly in his second season but still ranked in the bottom 10 in terms of qualified passer rating and he finished the year mired in a slump. 17. Tyrod Taylor, Buffalo Bills: Taylor came back to earth a bit after a Pro Bowl 2015 season, but he was even better as a rusher and he still rarely makes big mistakes. 18. Carson Palmer, Arizona Cardinals: The three-time Pro Bowler had the league’s highest qualified yards-per-attempt average by a wide margin in 2015, but he wasn’t the same as a 37-year-old in 2016. It’s fair to wonder if he’s almost done. 19. Philip Rivers, Los Angeles Chargers: The six-time Pro Bowler can still sling it, but he’s thrown 52 interceptions the last three seasons and is coming off a 21-pick campaign. He doesn’t win and he makes a lot of boneheaded throws. 20. Eli Manning, New York Giants: A lack of run support and poor pass protection didn’t help, but it was disappointing to see Manning’s numbers decline with Odell Beckham Jr. in 2016. He was a bottom-10 quarterback in terms of passer rating and yards-per-attempt average. 21. Brian Hoyer, San Francisco 49ers: He’s joining his fourth team in as many years, which basically confirms that he’s a career backup journeyman. But he did have six touchdown passes to zero interceptions and a 98.0 rating in five starts with the Bears last season. His numbers haven’t been bad the last couple years, actually, and he has a winning record in his career. 22. Sam Bradford, Minnesota Vikings: Yes, Bradford led the league with a completion percentage of 71.6 last season, but he’s a game manager who averaged just 7.0 yards per attempt. That was his ceiling as an NFL starter, and it wasn’t enough. 23. Alex Smith, Kansas City Chiefs: Smith is basically an older and slightly more conservative version of Bradford. There’s a reason the Chiefs sacrificed two first-round picks in order to add Patrick Mahomes in the draft. 24. Joe Flacco, Baltimore Ravens: The NFL’s most overrated quarterback had an abysmal 83.5 passer rating while averaging just 6.4 yards per attempt in a mistake-plagued season. Supposedly in his prime at 32, he’s posted a sub-85 rating in back-to-back seasons. 25. Carson Wentz, Philadelphia Eagles: After a hot four-game start to his rookie season, Wentz was one of the worst quarterbacks in the NFL. He had a 9-to-13 touchdown-to-interception ratio in the final 12 weeks. 26. Trevor Siemian, Denver Broncos: He probably shouldn’t be starting for a contender, and he completed fewer than 60 percent of his passes in his first season in that role for the Broncos. The 2015 seventh-round pick is a bottom-10 quarterback in pretty much every respect, but he doesn’t belong anywhere near the bottom. 27. Mike Glennon, Chicago Bears: Glennon got starter money from the Bears and will likely start ahead of rookie Mitchell Trubisky, but only as a stopgap. 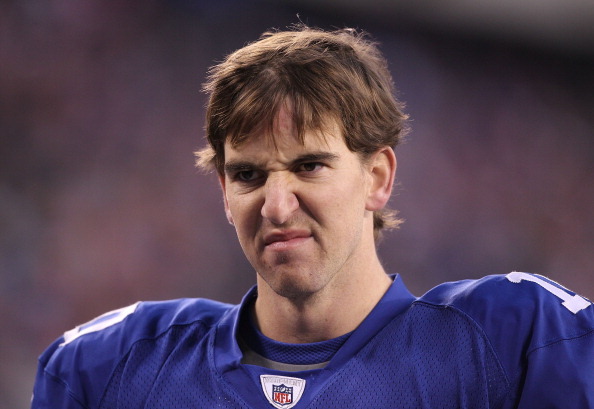 He’s lost 13 of his 18 career starts and has a sub-60 completion percentage as well as a sub-85 passer rating. 28. Josh McCown, New York Jets: He’s 37 and coming off a year in which he posted a 72.3 passer rating in Cleveland, but he’s probably still the favorite to win the starting job in New York. 29. Tom Savage, Houston Texans: Savage was made to be a backup, and eventually that’s what he’ll be again in Houston. He’s yet to throw a touchdown pass on 93 attempts and he averaged just 6.3 yards per attempt in two starts last season. 30. Blake Bortles, Jacksonville Jaguars: Bortles is simply terrible, and he’d look a lot worse if he didn’t routinely pad his stats in blowouts. Get this: His completion percentage on passes that traveled 20-plus yards last season was 20.6. The guy has no business starting in the NFL. 31. 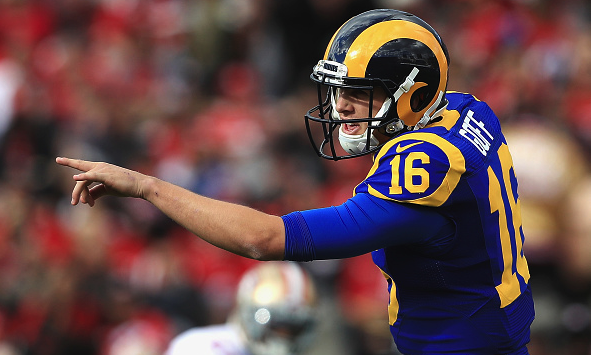 Jared Goff, Los Angeles Rams: The 2016 No. 1 overall pick didn’t even “earn” a chance to start until the second half of his rookie season, and once he did it was clear he wasn’t ready. Zero wins, seven losses. Five touchdowns, seven picks. A completion percentage of 54.6 despite a comically low yards-per-attempt average of 5.3. If he had qualified, he’d have been the league’s lowest-rated passer by a mile. 32. Whoever starts for the Cleveland Browns: Rookie DeShone Kizer is not ready, offseason acquisition Brock Osweiler was arguably the worst starting quarterback in the NFL last season and Cody Kessler and Kevin Hogan are meant to be career backups at best.